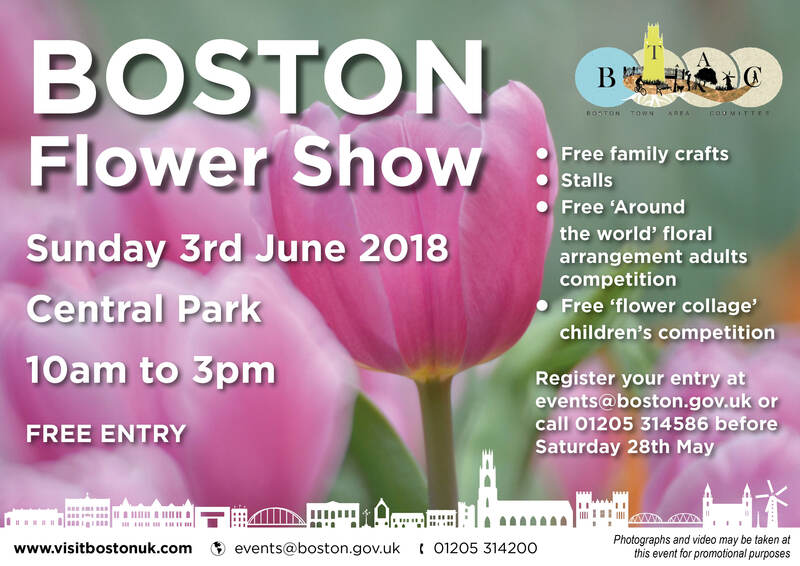 The Boston Flower Show will take place on Sunday 3rd June 2018 in Central Park, Boston. There will be a children’s floral collage competition and an adult’s floral arrangement competition is themed ‘Around the World’. Both competitions are free to enter, to register just email events@boston.gov.uk before Monday 28th May. There will be stalls, free family crafts and walk about entertainers.